Additive Synthesis. Additive synthesis involves the summation of multiple sinusoidal signals to form a more complex signal. 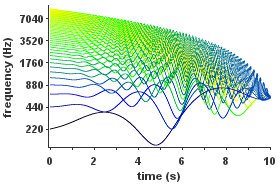 While this approach appears quite simple, the synthesis of time-varying signals using additive techniques requires the control and careful manipulation of many sinusoidal parameters.